2017, where have you gone? It only feels like last week that I moved to Belgium to live and race for the season. Six months later, i'm sitting at home thinking about next year! I moved home last Saturday and have settled in to home life and my winter routine. This year has consisted of many ups and downs; on and off the bike. I have remained steady through the trials and tribulations enabling me to take away as much learning as possible. Through the year I had Injuries and illness which meant time off the bike. Mentally I found this hard, thinking about form dropping. But I was able to come back and get some good top 5 results. One lesson my Mum has taught me; it's the attitude you have in dealing with the lows as well as the highs that makes you winner! There are many people that helped me along my way this year and without their support and energy, I would not have achieved my goals! The Dave Rayner Fund has been behind me, providing financial and moral support. Along with assisting with any problems I had. Thank you! Please check it out! All the money raised goes to helping young cyclists reach their full potential! 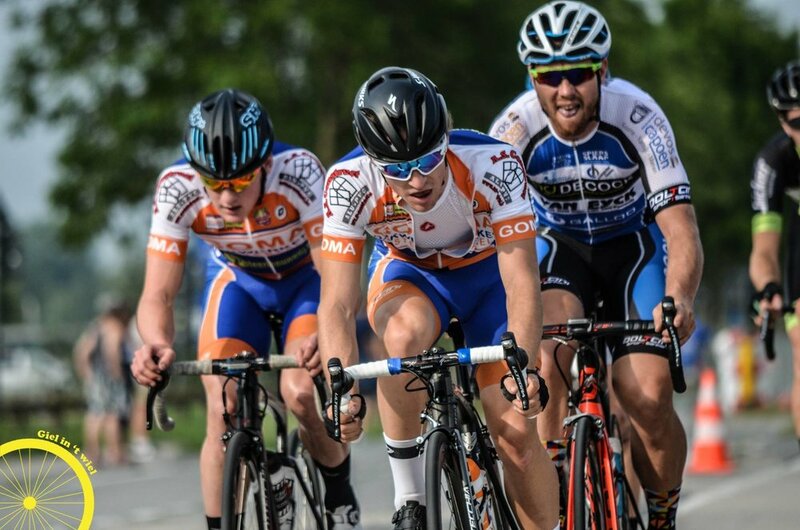 Goma Dakerken Cycling team has taken me across Belgium and France to compete in some really tough events. Thank you Gerry Vande Pontseele and all the people that play a role in the team for giving me these opportunities! I am looking forward to continuing with you in the season of 2018. Jason Nind and The Bike Warehouse Gillingham went on numerous visits to Belgium to support me at races. Thank you for the time an effort you have given me and the sport! Ingrid, Lennert ,Hans, Nicolas and Jeremi. Thank you for making me part of your family and all the support you gave me! I'm looking forward to returning next year when Lennie has completed Bike Park Trot! I'm extremely pleased to announce that I will be living and racing in Belgium for 2018 having signed my contract with Goma Dakwerken - VDB Steenhouwerij C.T.. Although this year has been a very tough season fraught with injury, I'm still super-motivated for next season and extremely grateful for the opportunity to be racing with the team for a third year. I'd also like to say a huge thank you to TBW Bottecchia Wigmore Rt U23, Handi-Ness Organization and VC Deal for the incredible support this year. Look at these two, rubbing it in, lovely sunny roads! Thanks to Daniel and James for the photos.